My Chinese teenager LOVES steak, and wants steak every day with nothing on it. After my friend Tina cleaned my apartment, she drove me downtown and I walked around doing my errands including a trip to the butcher shop. My trip to the butcher is fun, and it's always entertaining to hear their advice. Today's butcher was happy to offer advice on steak. He recommended a New York Strip Steak. He said it would sear nicely and "taste like butter." After filling my order, he had one more piece of advice. He told me to be sure and enjoy a glass of wine with my steak. He and I went back and forth. I told him I don't drink wine and he said, "You drink beer?" and I said no I don't drink any alcohol. and then he said, "A little wine is healthy and good for your heart." Needless to say my abstaining from alcohol creates some interesting conversations. Tonight's steak was very simple, and remarkably my husband even liked the steak without sauce! Amazing how little effort it takes to prepare steak. 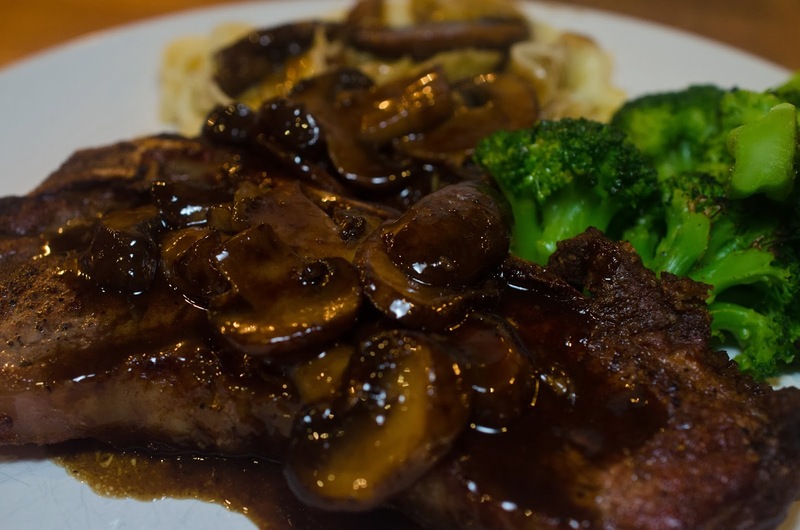 Steak and mushrooms, they are meant to be together. 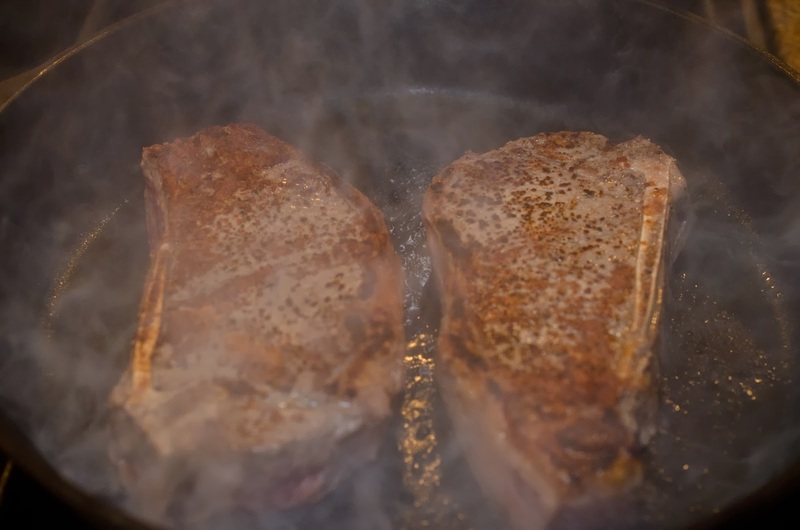 Ingredients for searing the steak: 1 1/2 inch New York Steak (Prepare as many as your family will eat), vegetable oil, salt, and freshly ground pepper. 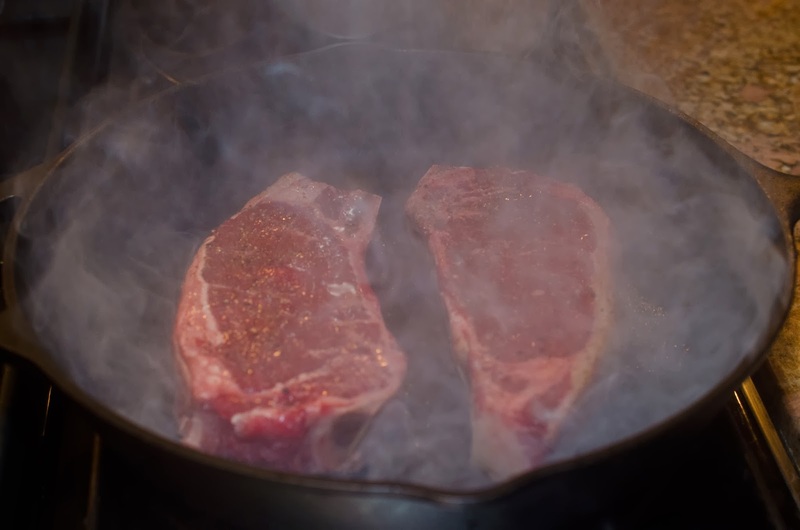 Preparation for cooking the steak: Place steak on counter for thirty minutes to warm up to room temperature. 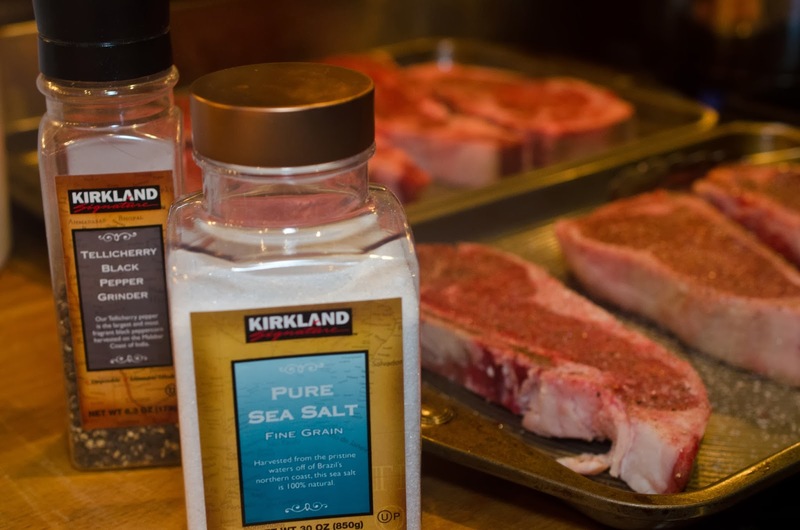 LIBERALLY salt the steak on both sides, and add freshly ground pepper. Brush vegetable oil on both sides. Preheat oven to 500 degrees Fahrenheit. 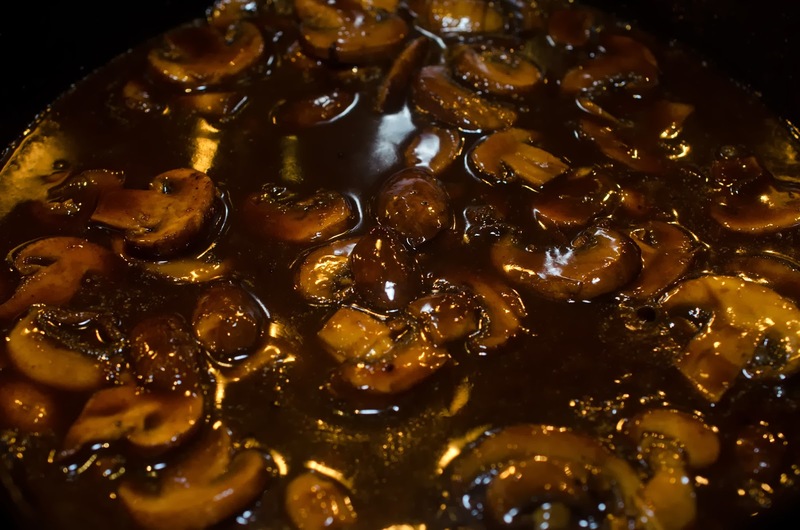 Place large cast iron skillet in oven while it preheats. 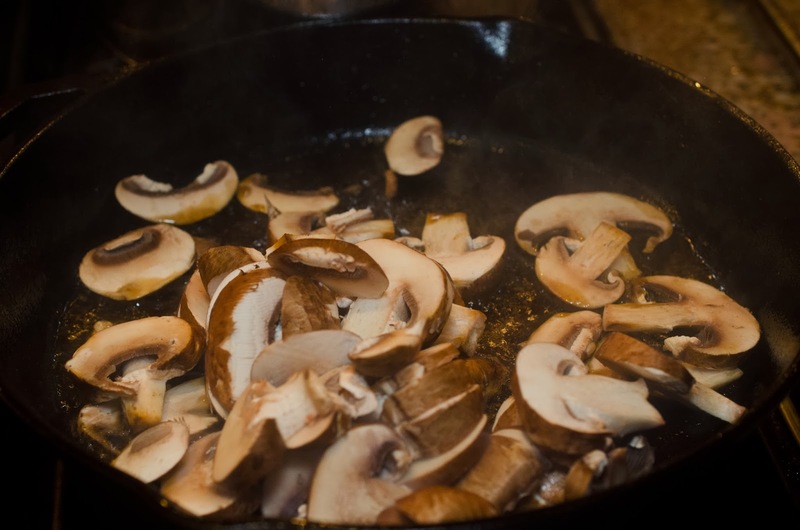 When the oven has preheated, remove skillet and place on stove with burner set to high. Leave empty skillet on stove for 5 minutes. somewhere in the kitchen directing the smoke out of the kitchen. Good luck! Pan sear the steak for 30 seconds and flip the steak. Sear the other side for 30 seconds. rest covered for 5 minutes. 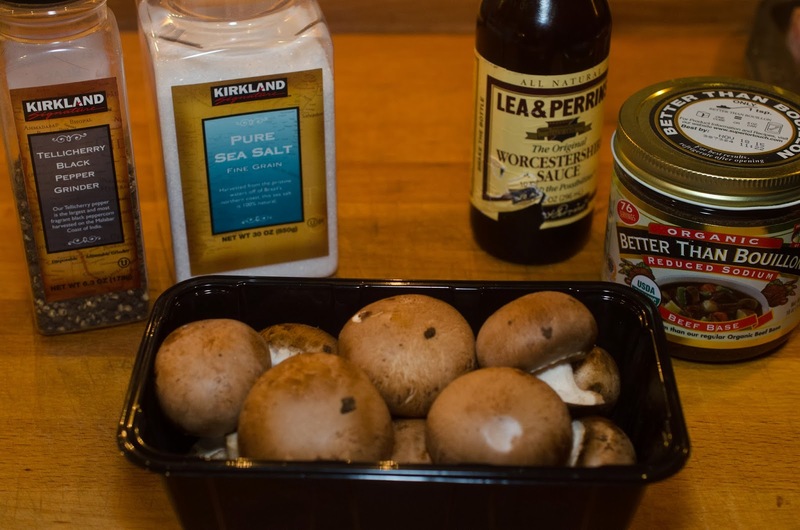 Clean the mushrooms and slice. 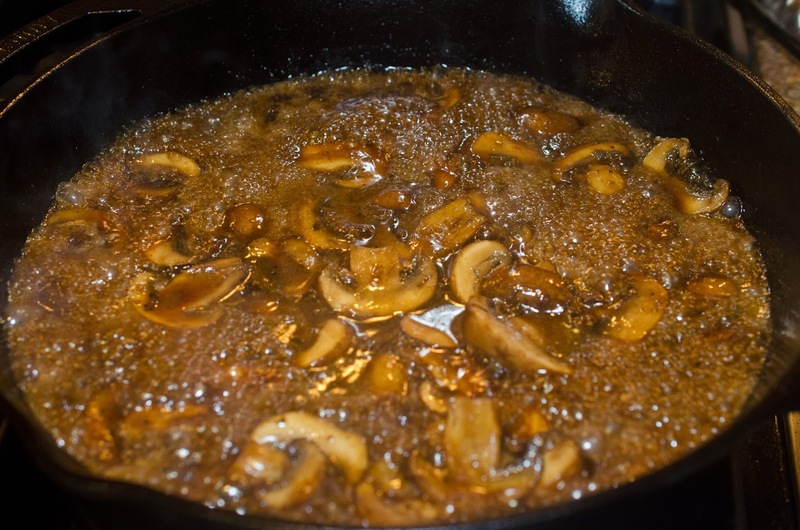 Add mushrooms to the beef drippings (from searing the steak), saute. Add the other ingredients, and stir. Bring to boil. cold water mixed together but not too much, maybe a teaspoon of each to start with. and roasted broccoli, it was a very delicious meal. Our Chinese teenager totally missed it! I can't believe he missed it! He missed out in a big way!